Sometimes the weirdest tricks have the best results. From honey wraps to onion socks, there are many time-tested strange remedies that truly improve your health. While cabbage leaves are amazing in dishes, they can also be used to treat the following health problems. Cruciferous vegetables like cabbage and broccoli contain methionine, an essential amino acids required for growth and tissue repair. In fact, placing a a piece of lightly blanched cabbage over your wounds fight infection and inflammation and reduces healing time (1). The acid also prevent tynenol and copper poisoning, treats liver disorders as well as helps cure depression, alcoholism, allergies, asthma, schizohrenia and Parkinson’s disease. Cabbage is full of vitamin c & k, folate, potassium, calcium, magnesium, phosphorous and iron (2). These ingredients work together to prevent headaches caused by nutritional deficiency, particularly tension headaches (3). Methionine also promotes detoxification by binding to heavy metals like lead and mercury and helping the body expel them (4). This in turn improves overall body function and prevents toxin-related headaches. The International Breastfeeding Center suggest the use of cabbage to decrease engorgement and promote milk flow (5). 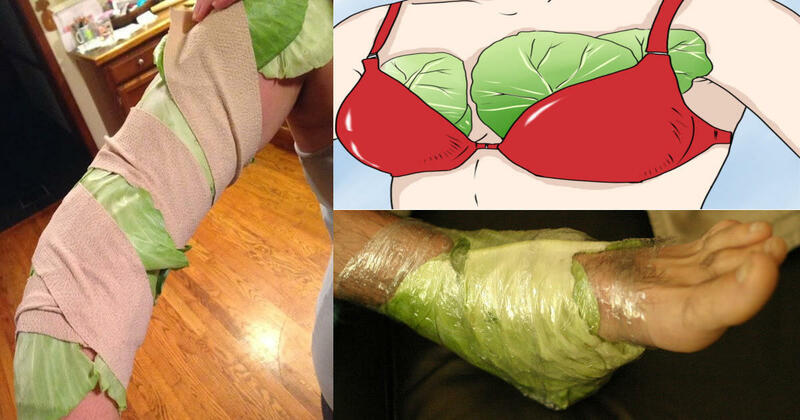 To use, crush green cabbage leaves with a rolling pin to help them mold unto you breast. Leave on your breast for 20 minutes, twice a day and follow up with a feeding or pumping session. 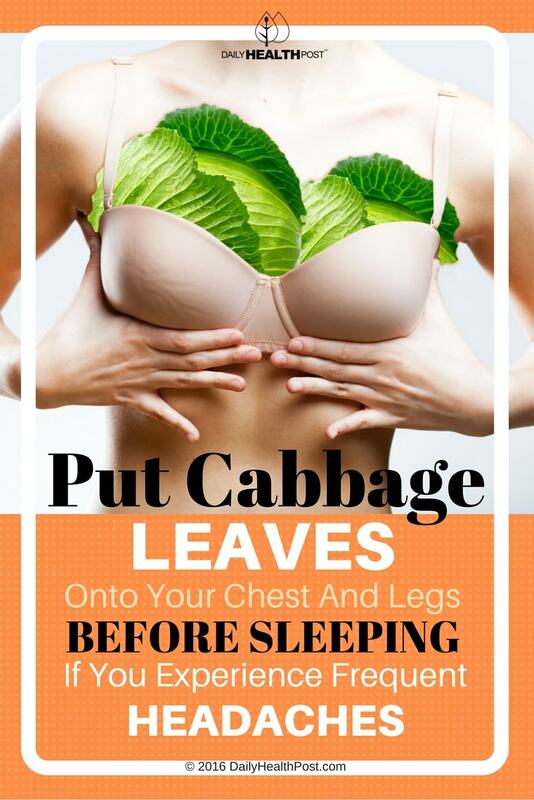 You can also use cabbage after a feeding and leave them on until they wilt. Rob Hicks, a GP and hospital doctor, suggests that new mothers use chilled cabbage leaves straight from the fridge to relieve breast tenderness or slightly blanched leaves on their abdomen to ease postpartum and menstrual pain (6). Although eating cruciferous vegetables may interfere with proper hormone function, traditional medicine practitioners suggest that wrapping cabbage leaves over your thyroid gland overnight can help balance thyroid hormones and neutralize thyroid-disrupting hormones to restore proper balance. Karen Howell, a liscenced physical therapist, recommends the topical use of cabbage on sore and inflamed joints (7). Cabbage and other cruciferous vegetables contain glucosinolate, an anti-inflammatory and cancer-fighting compound (8). Cut out the stiff vein that runs through each leaf to help it mold onto your skin. Lay the leaves on a cutting board lined with plastic wrap. Place paper towel under and over the leaves and pound with a meat cleaver to activate the vegetable’s active compounds. Remove leaves from the paper towel and place directly on your sore joint, using plastic wrap to keep it in place. If you’re experiencing severe pain, place a cold pack over the leaves and secure in into place using a cloth bandage or towel. You can also use cabbage to reduce swelling caused by edema (9). Simply clean and dry the leaves, refrigerate until cool and place on your swollen limb to draw out excess fluid. Leave them until they become wet, then repeat with fresh leaves until your symptoms subside.